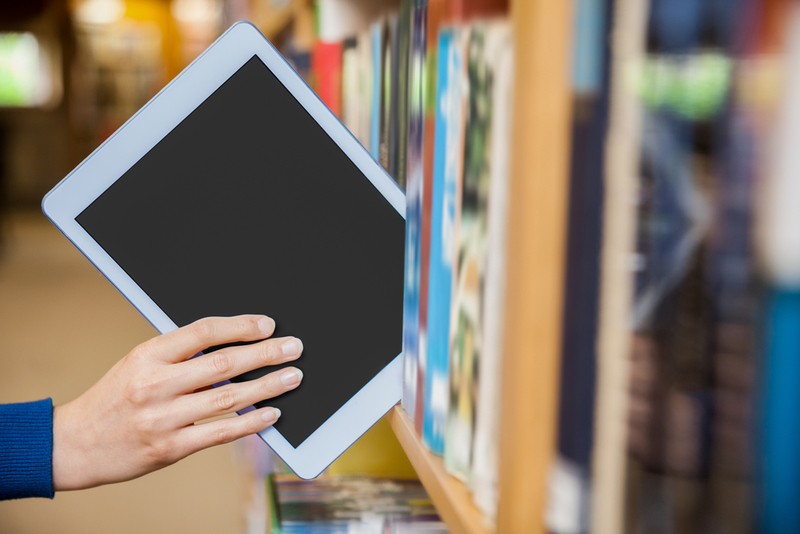 Open educational resources represent an exciting, affordable alternative to traditional textbooks, but districts need a clear roadmap in place to implement them effectively. To some, open educational resources (OER) might seem too good to be true. Readily available, high-quality digital learning materials that can be downloaded, edited, shared, and modified however an educator sees fit, OER are much more affordable — and usually much more up-to-date — than traditional textbooks. In a study of one Utah school district, students experienced a slight improvement in chemistry test scores when using OER. Similarly, a survey of students at Leeward Community College showed that more than 80 percent of students felt better about their learning outcomes when they had access to open educational resources. Taken in tandem with their minimal cost, these results make it hard to deny the immense potential of OER. All that being said, OER don’t come without drawbacks. School districts looking to leverage OER to reduce costs and improve learning outcomes should be aware of their attendant risks, and need to be prepared to address these risks efficiently and effectively. Age-old wisdom dictates that “you get what you pay for,” but with OER, that isn’t necessarily the case. Open educational resources are often very high-quality and are updated frequently, providing a great value to teachers and students. However, this isn’t true across the board; not all OER are created equally, and it’s up to educators to separate the wheat from the chaff. Of course, it can be incredibly time-consuming for teachers to sift through the reams of digital content at their disposal to identify not only what’s worth using, but how it should be used — so time-consuming, in fact, that many teachers opt to continue using outdated resources instead of siphoning precious time away from lecturing, grading, or lesson planning. Further — and arguably more importantly — there’s the issue of access. Digital textbooks are often free, and even when they’re not, they’re almost always more affordable than traditional textbooks. In some communities, this affordability directly translates to increased accessibility, but accessing OER also requires a reliable high-speed internet connection — something many students don’t have at home. The Pew Research Center estimates that around 5 million American households with school-aged children don’t have access to a high-speed internet connection, a lack of connectivity that is particularly prevalent among low-income communities and communities of color. This “digital divide” already makes it difficult for disadvantaged students to complete their homework, and as schools become increasingly reliant on digital resources, this divide will only widen. For school districts to realize the full potential of OER without placing undue burdens on teachers or underprivileged students, they need to have a comprehensive digital roadmap in place. This roadmap must articulate a clear vision for OER implementation in order to secure sufficient buy-in from faculty and staff — something that is critical to getting any OER initiative off the ground. Once the “why” is in place and teachers are on board, districts need to define the “what.” Which subjects will you focus on first? Will you move away from outdated science and technology textbooks, or will literature find a new (digital) life in language arts classrooms? With which grade levels will you start? Your initial area of focus should be relatively limited so that early adopters can provide an early win for others in the district to build on. It’s also important to put guidelines in place to help teachers select the highest-quality OER and implement them properly. This serves the dual purpose of saving teachers time and ensuring that your transition to digital resources will be a success. You’ll also need to make sure that your learning management system aligns with your OER initiatives in order to facilitate robust recording and reporting of student progress. Additionally, since some students in the district likely won’t have the requisite connectivity to use OER at home, you must explore ways to offset this access gap. For instance, some schools have had success partnering with local libraries or other outside entities to loan students WiFi hotspots for free. Because the road to effective OER implementation is long and littered with potholes, districts may want to consider appointing a designated team of administrative leaders and tech experts to act as the main advisors for new digital learning efforts. Many districts may also benefit from teaming up with an experienced technology management partner like Epiphany. With decades of combined experience in educational technology and an unparalleled record of success helping districts achieve their digital goals, we strive to be an invaluable team member for any district looking to initiate or advance its digital learning efforts. For more information, contact us today!